The United Kingdom has joined the Hague Agreement concerning the International Registration of Industrial Designs. The ratification will come into effect starting from June 13, 2018. The Hague Agreement offers the opportunity to register designs in 82 countries through the filing of a single application and one set of fees (filed to WIPO). This ensures that applicants save time on design registrations, and that their IP is protected more efficiently. Design registration under the Hague system in the UK has been available through the designation of the EU. 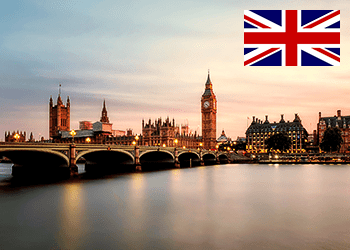 Now the United Kingdom will still qualify to benefit from the Hague Agreement in spite of the recent amendments to the UK design law following the Brexit decision. Alongside the UK, Russia joined the Agreement in February 2018 and Canada is also currently preparing to join. For this particular purpose, Canada's Industrial Design Act and Regulations were amended. They now contain a detailed description outlining exactly how Canada will adhere to the Hague Agreement. It can, therefore, be assumed that in early 2019 there will be at least one more member country. For more information regarding IP rights in the UK and other countries please see our applicant’s guide. Also, you are welcome to use our quotation system for up-to-date calculation of costs connected with IP prosecution worldwide.